Swallows are symbols of good luck. Unfortunately, along with other species that feed primarily on aerial insects, they have experienced alarming and unexplained population declines in the past few decades. They have experienced the greatest population declines of any bird group in North America. Barn Swallow (Hirundo rustica). One of world’s most widespread and common birds, this insect-eating species has experienced large population decreases that began in the mid-1980s in Canada. The Breeding Bird Survey showed an overall decline of 76% in the 40 years from 1970 to 2009, and a drop of 30% from 1999 to 2009. The causes of this decline are not well understood but are thought to be related to habitat loss, declines in insect populations, climate perturbations, parasites, invasive species and pesticides. The species is now federally designated as threatened and provincially blue-listed. 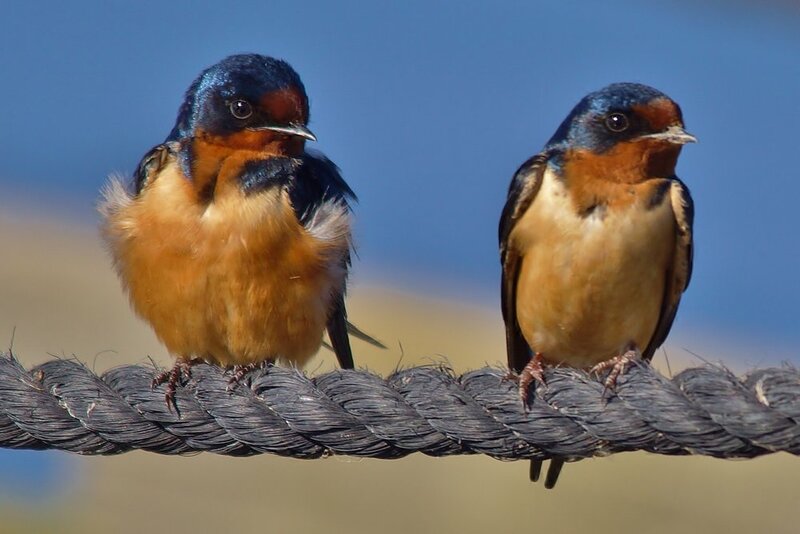 Barn Swallows nest almost exclusively in or on human structures such as houses, barns, garages, sheds, and bridges, upon which it builds cup-shaped nests of mud mixed with grasses and lined with feathers and grass. Purple Martin (Progne subis arboricola) – This species is provincially blue listed. By the late 1970s it had almost completely disappeared from its previous range in the Pacific Northwest. Purple Martins are colonial secondary cavity-nester that originally used abandoned woodpecker nest cavities in snags and live trees. These birds are completely dependent on a supply of suitable nest cavities for breeding. A highly successful volunteer nest-box program in the Georgia Basin caused the population to increase from 5 pairs in 1985 to 350 pairs in 2004. Here on the Sunshine Coast, some of these man-made nest boxes have fallen into disrepair and are in need of upgrading to continue to provide nesting habitat. Violet-Green Swallow (Tachycineta thalassina) and Tree Swallow (Tachycineta bicolor) – These are two more swallow species found in our region. 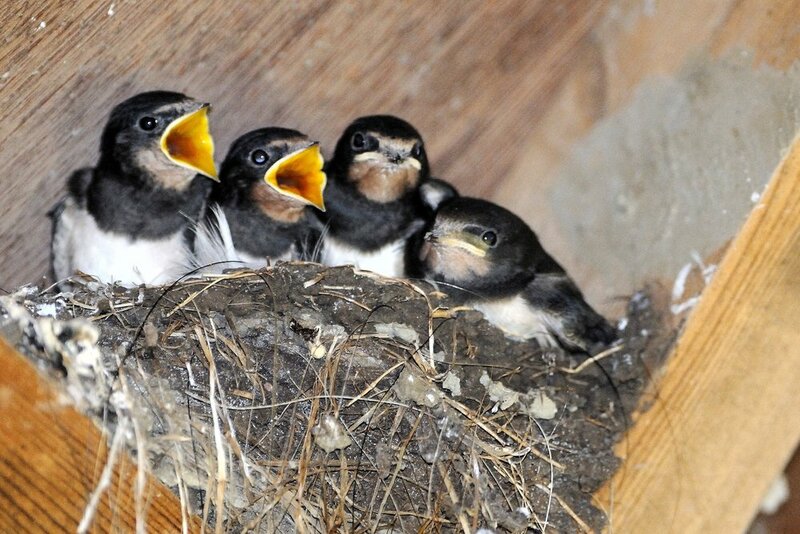 Tree Swallows natural nesting habitat is in woodpecker cavities in snags around ponds. Violet-green Swallows are also secondary cavity nesters, and use similar nesting habitat to Tree Swallows, but also nest in rock cavities on cliffs, in colonies of 20 or more, as well as in nooks and crannies on human buildings and other structures. Both species will readily use man-made nest boxes. Some naturalists report that they are experiencing declines in some areas of the Georgia Basin.